At a regular meeting of the Board of Commissioners of the Caddo Levee District held at 10:00 a.m., April 12, 2018, at 1320 Grimmett Drive, Shreveport, Louisiana, the following members were present: James T. Sims, Patrick Harrison, Carolyn C. Prator, Kandi Moore, Gary Procell, Helen Godfrey Smith and Willie Walker. Ronald F. Lattier, Law Offices of Ronald F. Lattier; Marshall Jones, Jones & Odom LLP; Emily Jones, LA Department of Transportation and Development; Sam Brimer, Forester; Ali M. Mustapha, Administrator; and Danielle Stafford, Assistant Secretary, were also present. Mr. Sims stated that the minutes from the March 2018 meeting had been emailed for review and asked for a motion to approve. Mr. Procell made a motion, with a second by Mrs. Smith, to approve the minutes from the March 2018 meeting. The motion unanimously passed. Mr. Harrison discussed the monthly financial reports, reporting that income and expenses for the month of March were in line with the monthly average. The Board reviewed payments and invoices for the month of March 2018 and subsequent bills for the month of February 2018. Mrs. Smith made a motion, with a second by Mrs. Moore, to ratify payment of the invoices for the month of March 2018 and subsequent bills for the month of February 2018. The motion unanimously passed. The acceptance of a bid for the Annual Supply of Spray Herbicide Chemicals was tabled until the May 2018 meeting. Marshall Jones had no report on oil and gas matters. NOW, THEREFORE, BE IT RESOLVED by the Board of Commissioners of the Caddo Levee District, in legal session convened, that this project is hereby accepted upon the advice and recommendation of its advisors. The Board unanimously approved a surface lease for Cole Davis for approximately one-half acre on Black Bayou known as Lot #221 in Section 9, T22N, R15W, Caddo Parish, Louisiana, with a motion by Mrs. Prator and a second by Mrs. Moore. 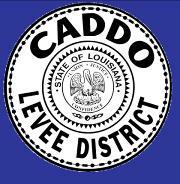 NOW, THEREFORE, BE IT RESOLVED, that the Board of Commissioners of the Caddo Levee District approves the Caddo Levee District’s EOP Manual with an effective date of July 1, 2018 and authorizes all actions under the EOP and the statute. BE IT FURTHER RESOLVED, that the President, Administrator, or Chief Engineer be authorized to sign any and all documents necessary to carry out the above. NOW, THEREFORE, BE IT RESOLVED, by the Board of Commissioners of the Caddo Levee District agree to the terms in the Cooperative Endeavor Agreement with the Caddo-Bossier Parishes Port Commission and that its Administrator, Ali M. Mustapha, P.E., be, and he hereby is, fully authorized to execute for and on behalf of the Board of Commissioners a Cooperative Endeavor Agreement containing such terms and conditions as he, in his sole discretion deems meet and necessary, to fully effectuate the intent of this resolution. Mr. Mustapha discussed the filing of the annual Tier 2.1 Personal Financial Disclosure Statement, stating that all Commissioners are required to submit this form to the Louisiana Board of Ethics by May 15, 2018. Forms were distributed to all Commissioners. The Board unanimously approved the payment of Mississippi Valley Flood Control Association dues in the amount of $1,000.00 with a motion by Mr. Walker and a second by Mrs. Prator. The Board unanimously approved the payment of National Waterways Conference, Inc. dues in the amount of $1,450.00 with a motion by Mrs. Moore and a second by Mr. Walker. The Board discussed the payment to Texas A&M University (Bush School of Government and Public Service) Capstone Research Project in the amount of $6,000.00 for their research work on the Red River flooding in Caddo Parish and potential solutions to government and citizens. Mrs. Smith made a motion, with a second by Mr. Walker, to approve the payment. Mrs. Prator abstained from the vote. The motion passed by majority vote. President Sims reported that he is still working with Mr. Mustapha to solve issues with a water line crossing Black Bayou and Pine Island Levee system at LA Hwy 530 in Oil City. Mr. Mustapha reported that the U.S. Army Corps of Engineers reported on April 2, 2018 that the contractor had completed the LIDAR task and collection of all the data needed for the Corps Red River Study on March 31, 2018. The current flooding of the River during February and March has also allowed the Corps to complete the High Water Sediment Transport Survey which is essential to complete the Study and will provide valuable data on the amount of sediment accumulation in pool 5. All the field work is complete and this will allow the Corps to proceed with modeling and hopefully complete the Study in late 2018 or mid-2019, dependent on funding. Mr. Mustapha also reported that the floodgate at Agurs has remained closed since February 23, 2018 due to flooding of the red River and Twelve Mile Bayou and should be opened soon when the flood stage elevations return to normal levels. Mr. Mustapha also reported that the Risk Assessment Presentation by the Corps would be held on Tuesday, April 17, 2018 at 10:30 AM at the Caddo Levee District’s office. This presentation is intended to inform Levee Districts in Caddo, Bossier and Red River Parishes and Homeland Security officers of the new USACE levee risk ratings of the levee systems. Mr. Mustapha provided a written report that detailed the status and progress of all the ongoing Capital Outlay projects. He also provided a written report on the status of all open permits. Ronald Lattier had no report.